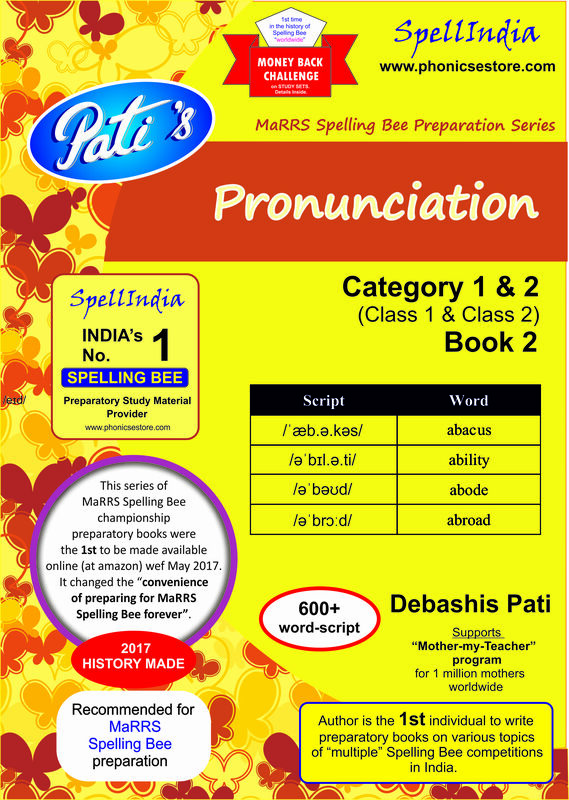 Welcome to 'Pronunication' learning for spell bee competition exams, such as MaRRS Spelling Bee & Wiz National Spell Bee. 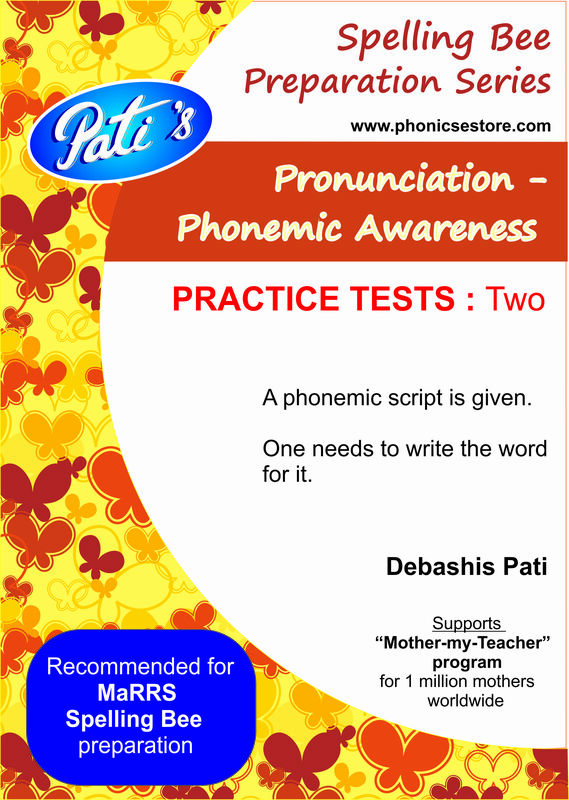 If you do not know the phonemic script / pronunciation key of any word then ASK US. Send us email and mention the word. No fee charged for providing response to participants of spelling bee competiitons such as MaRRS International Spelling Bee and WIZ National Spell Bee. However, terms and conditions do apply. This service is available for limited period only. For any clarification whatsapp 9820354672. Here is a set of Practice Tests. You can immediately download the tests. 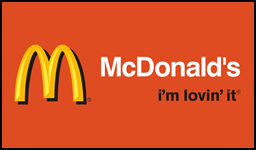 To download the tests - please click Now ! Here is a start off - learning / preparatory - workbook. 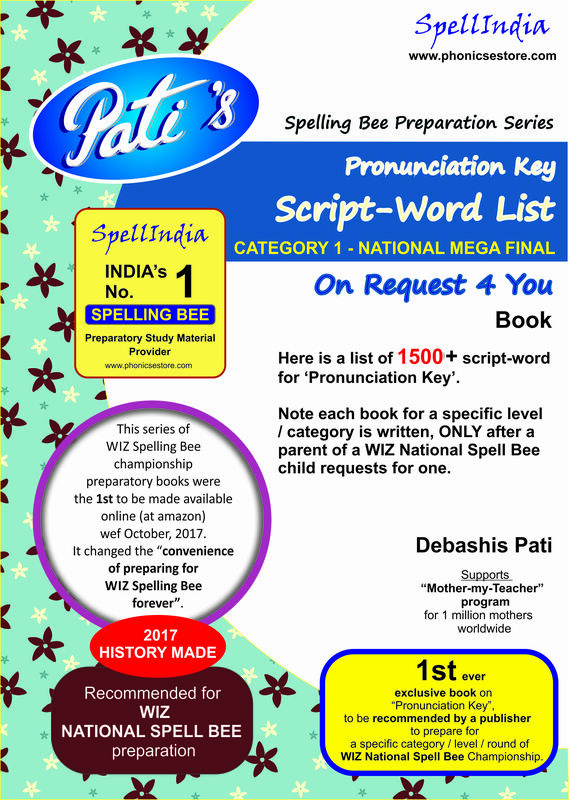 This is a MUST BUY to prepare for "Pronunciation Key" topics of WIZ National Spell Bee. This preparatory workbook is available 24x7 at amazon, and is common for all categories. It will help learn the frist steps of symbols and combination of symobls that make the pronunciation script for words. Click on image to reach amazon in no time to buy. # FREE tele-guidance (for 10 minutes) on how to go about using this workbook to prepare their child for "Pronunciation Key". ... earlier you buy this book at amazon, more time your child will get to practice before the test ... make every moment count. Please note this is an independent initiative of Phonics eStore, and is fully created and supported by the author of the book. Before learning phonemic script of words, it is suggested that the child first learn the phonemic symbols. And then identify symbols within words. Click on cover page image below, to buy at amazon now. Here are "Say-It Test" for each category of WIZ National Spell Bee. 120 words are recommended for each category. Same are provided in the "small" books below. In the exam, first the phonemic script of a word appears on the screen. It is shown for around 13 seconds. In this tiem child has to say the word, its spelling and its meaning ........ with speed. By practising with this book again and again, every child can learn and prepare faster, and better. Click on cover page image below, to buy "any one" of these at amazon now. 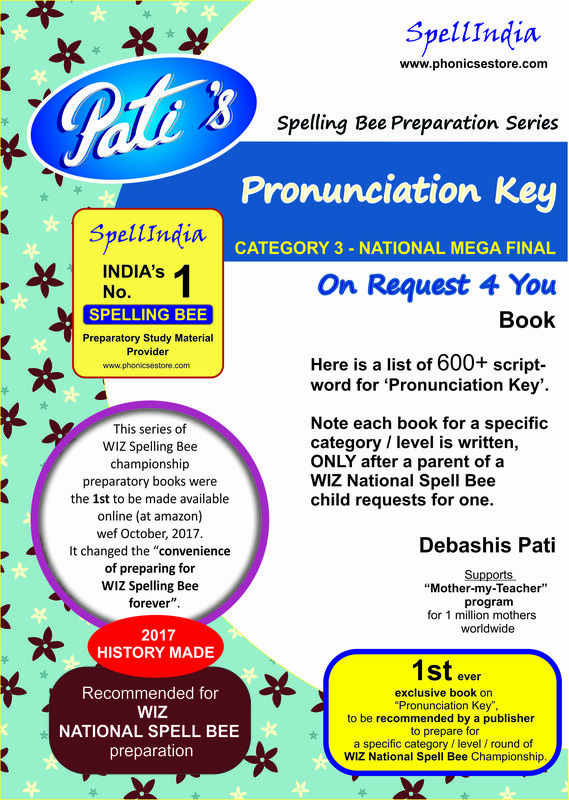 All participants who are selected for the State Grand Finale / National Mega Final, will get this 120 words book of their categpry free on purchase of 'Pronunciation Key - Learning' book or "Pronunciation Key - Script Word List ' book (at amazon). If you are selected for state / national final, but your school's name is not mentioned below then contact us immediately with prooof of your selection, at phonicsindia@gmail.com. Here are some Say-It Tests on youtube. These will help practice and revise what your child has learnt. Access subject to youtube link being active. pronunciation - phonemic awareness training and learning for mother of kids, so that they can home teach their kids across cities in India and all other countries worldwide. In the absence of pronunciation - phonemic awareness classes and teachers and books across locations this will be of great use for kids learning Phonics.